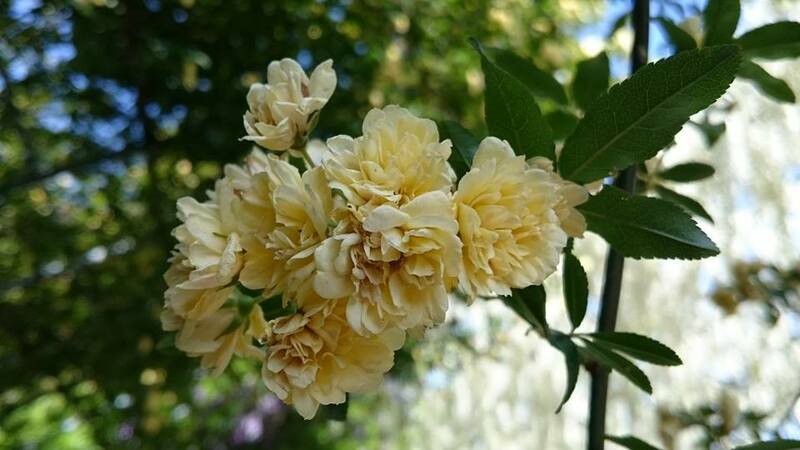 Golden-week holiday was coming! That was my first Golden-week holiday in Japan. Since in Indonesia there is no Golden-week holiday, I was curious how Japanese people spent their Golden-week. So I tried to search whether any events held near here or not (I lived in Kitakyushu FYI), and guess what there were a bunch of events in Golden-week, mostly in Fukuoka. While I browse on internet, I stopped my eyes on the pictures of white, pink and purple flowers fully covered the tunnel in Kitakyushu. It is Kawachi Fuji Koen. Since it is near from my dormitory, I decided to visit there. 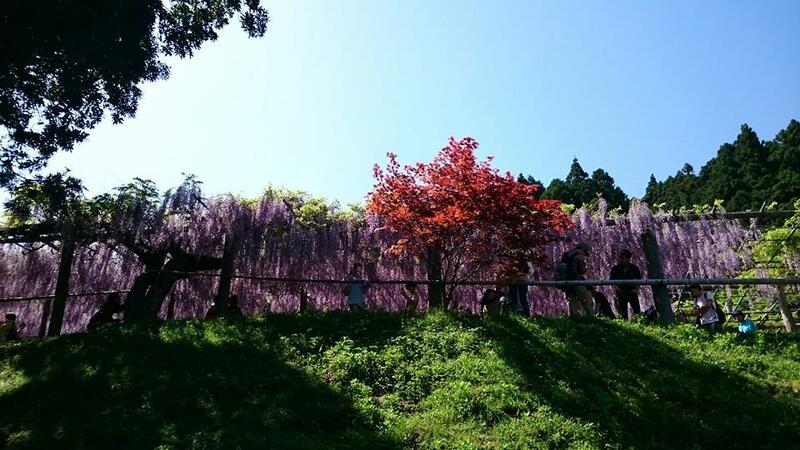 Kawachi Fuji Koen (also known as Kawachi Wisteria Garden) is located in Yahata, Kitakyushu. The nearest station from Kawachi Fuji Koen is Yahata Station. From Orio Station, I took train on the JR Kagoshima Line to Yahata station. At Yahata station, you will find a number of bus stops on the left side as you exit the station building. It will be better if you arrived 20-30 minutes early and get on the line for the bus. You can either take free shuttle bus Ajisai no yu or Nishitetsu Bus #56. The capacity of free shuttle bus is about 25 seats—fewer than Nishitetsu bus—and there were many people in the line. Yeah, that was golden-week while all Japanese people were going out and enjoying holiday with family and friends. Not only Japanese, there were several tourists from Thailand, Malaysia and Vietnamese on the line. The maps below shows the route from Yahata Station to Kawachi Fuji Koen. I and my friend decided to take Nishitetsu Bus #56 instead of free shuttle bus and had to pay 260 JPY to reach the last bus stop. It must be 20-30 minutes from Yahata Station to the last bus stop near Kawachi Fuji Koen, but there was very crowded and long traffic jam, it took about 1.5 hours to reach the last bus stop. Later I knew from my friend that I should take the free shuttle bus one, because the free bus shuttle avoided the traffic jam and searched the shortest path to Kawachi Fuji Koen, he said that it took only 30 minutes by shuttle bus. The shuttle bus is supposed to be only for customers of the onsen, but don’t worry there was no checking. The first shuttle bus leaves Yahata station at 10:15 and then 25 past the hour except 14:25. Buses back leave the onsen on the hour except at 14:00. As the information from Google Maps, we had to walk about 4 km from the last bus stop to Kawachi Fuji Koen it took 40 minutes by walking. Living in Japan, you have to get used to go everywhere by walking. It may hard at the beginning, but you’ll be fun for the rest. Motorcycle is very rare; everyone here is either walking or bicycling. We passed the Kawachi Dam and took several photos. After finish taking photos at Kawachi Dam, we continued walking to the Kawachi Fuji Koen. If you got thirsty, don’t worry. There are shops near the Kawachi Fuji Koen, but the thing is that several meals/drinks are running out. So, you’d better prepare your own meals/drinks before, much more is better. Based on Wikipedia, Fuji flowers—or wisteria in English—is a genus of flowering plants in the pea family, Fabaceae, that includes ten species of woody climbing vines native to the Eastern United States and to China, Korea, and Japan. The wisteria blooms from late April onwards with peak time varying slightly from year to year. 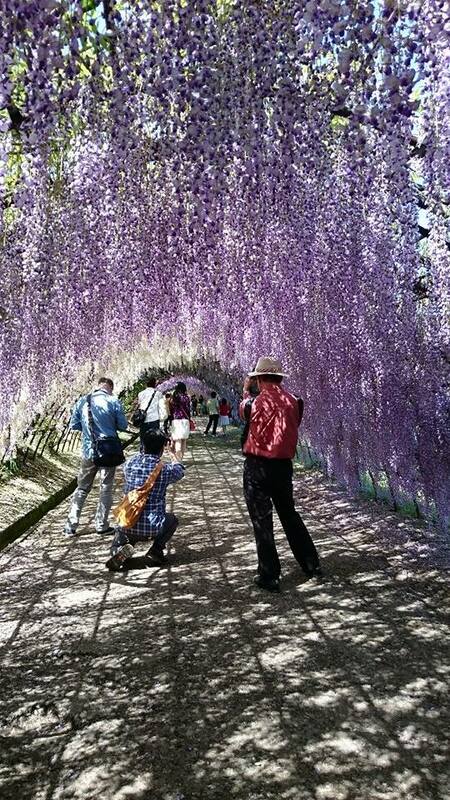 The best time to visit Kawachi Fuji Garden is late April to May. 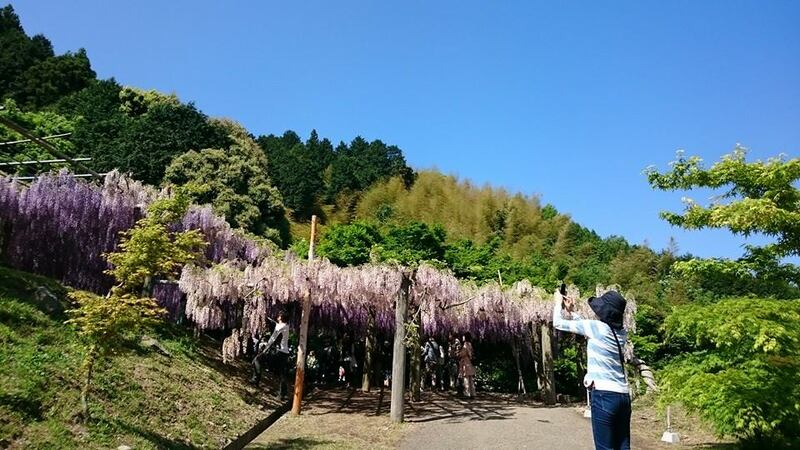 We had to pay 1000 JPY to enter the Kawachi Fuji Koen and it varies according to how in bloom the flowers are. Kawachi Fuji Koen was very lovely. 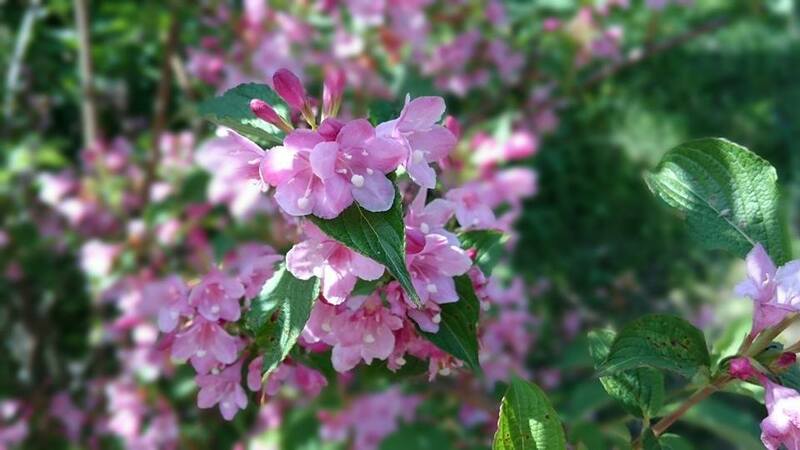 There were many different colors and varieties, from white, yellow, pink, soft purple, all blended along the tunnel. 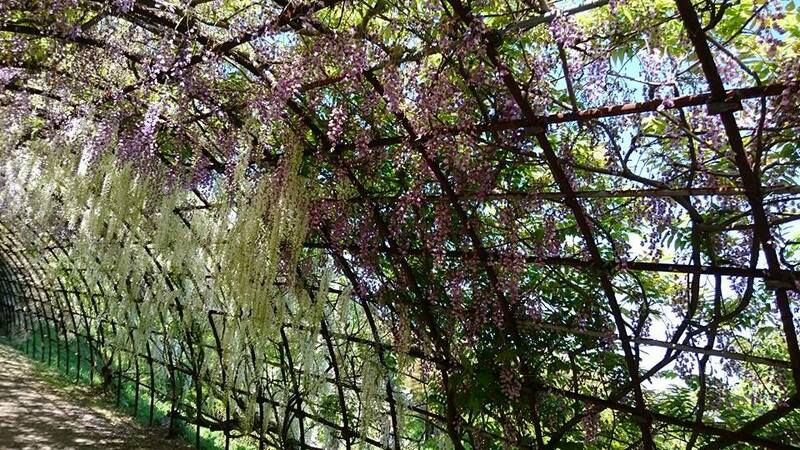 I wondered if I can lie down under the fallen wisteria bloomers; enjoy the sun shine through the flowers that covered tunnel and take a deep breath smelling the wisteria flowers scent, it would be so nice. I thought it were in heaven*LOL*. But, then I realized that there were so many people there in the tunnel, I couldn’t even do that. 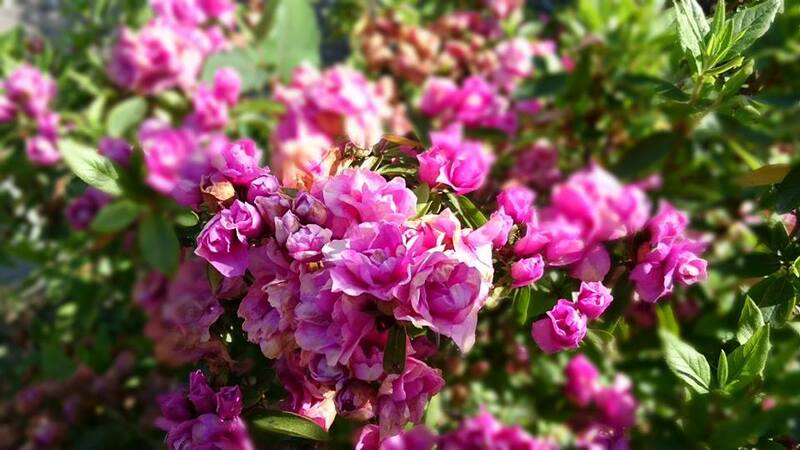 And for several photos that I took were not as beautiful as the one you got from other blogs, gomennasai. 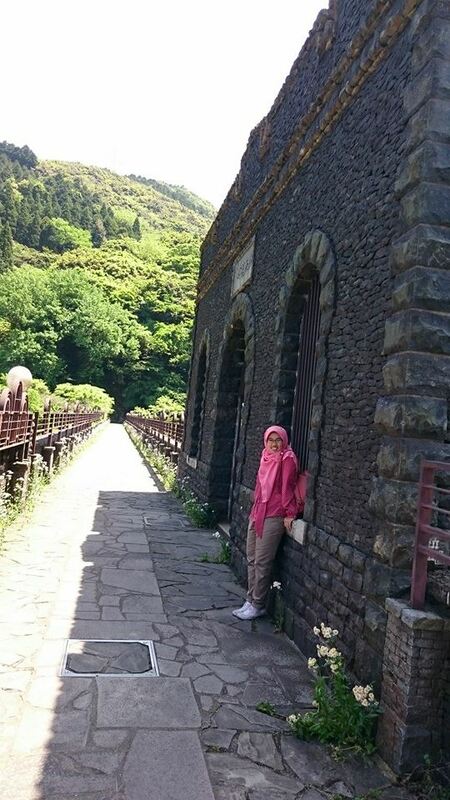 Kawachi Fuji Koen was so damn beautiful and simply breathtaking. Previous postCalon Sarjana Komputer Ndak Bisa Ngoding? Salah Siapa?